Tennessee’s Cumberland Plateau, a wide tableland cut with a dizzying array of deep gorges, is a geological wonderland. It is a place to behold and a place to savor. This new entry in the trusted series details 50 hikes on the plateau, from the Big South Fork National River & Recreation Area near Kentucky to the fascinating Walls of Jericho astride the Alabama state line; from the thousand-foot gorge cut by the mighty Tennessee River down Chattanooga way to the watery beauty of Virgin Falls by Sparta. 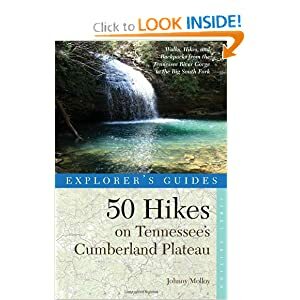 It will encourage you to get out and enjoy the treasures of Tennessee’s unspoiled Cumberland Plateau.